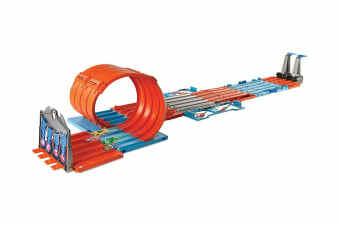 The Hot Wheels Track Builder Race Crate is the ultimate track and stunt building set in one! It combines multiple ways to play with 3 exciting and unique races. 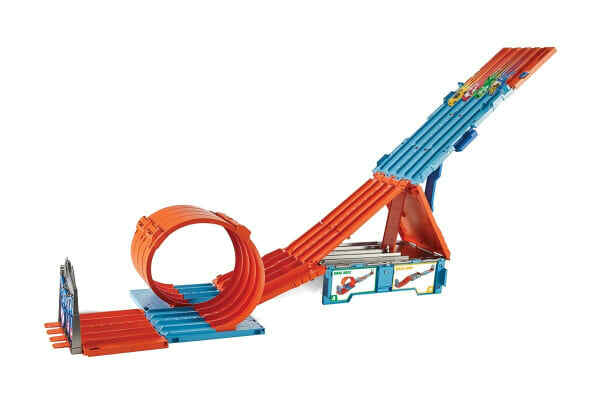 Kids can race, stunt and challenge friends when they transform the Hot Wheels Track Builder Race Crate into 3 different stunts that include the Gravity Drop, Mega Jump and Drag Race! Ignite their imagination with the pop-out raceway, 8+ feet of track and different challenges they can experience using the fair start gate, 2-lane loop, finish gate and 2 double slam launchers. 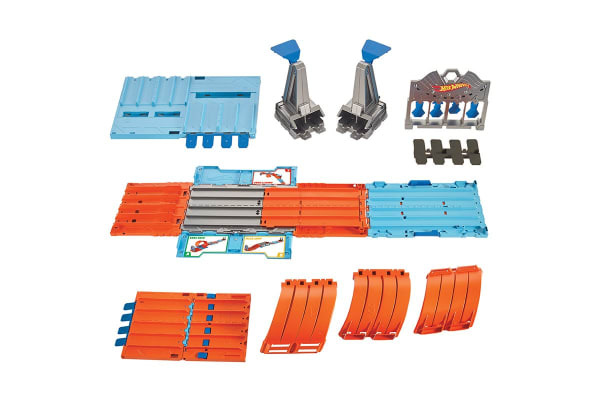 All the accessories included can be used in other Track Builder sets with setup instructions and labels for storage, set-up and breakdown. Fold the crate up and place all the parts inside for easy portability and storage.